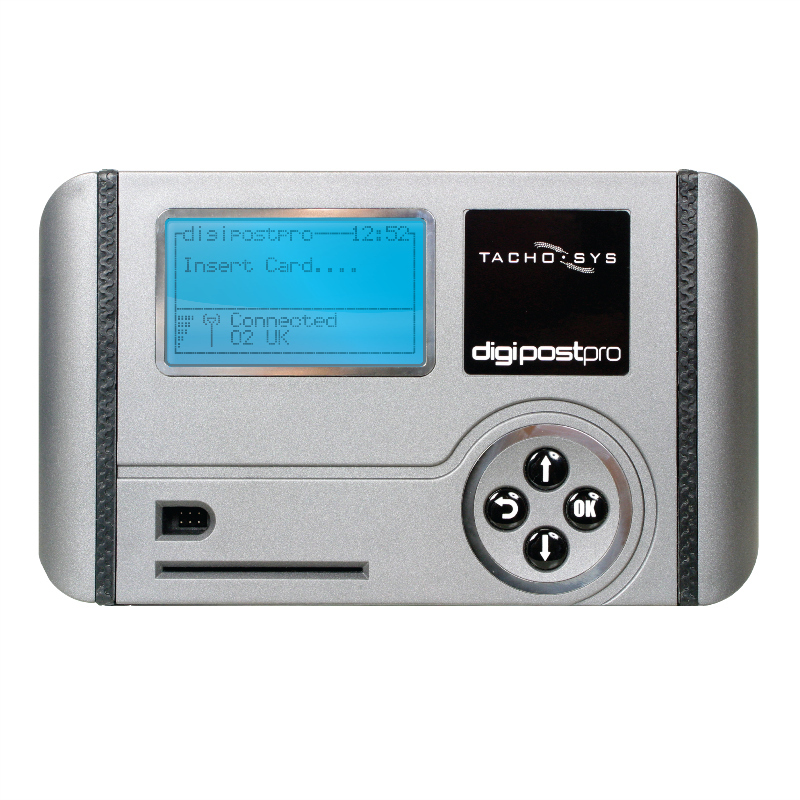 The Digipostpro from TMS allows Driver Card and VU data to be collected and transmitted from any location at any time via the mobile phone network (GPRS). SKU: Product Code: DIGIPOSTPRO. Category: Digital Products. Digipostpro allows you to collect Driver Card data and VU data anywhere and at any time. You transfer data via the mobile phone network (GPRS) directly to TMS using secure authentication methods. We configure the device for you so all you have to do is fix the Digipostpro in a suitable place and plug it in to a 12 volt power supply. The display keeps drivers informed of progress throughout the brief upload process and in turn informs them of any recent drivers hours infringements. The unit can even provide company messages to the driver when required. PCs and card readers and for any company with multiple sites looking to centralise data collection. 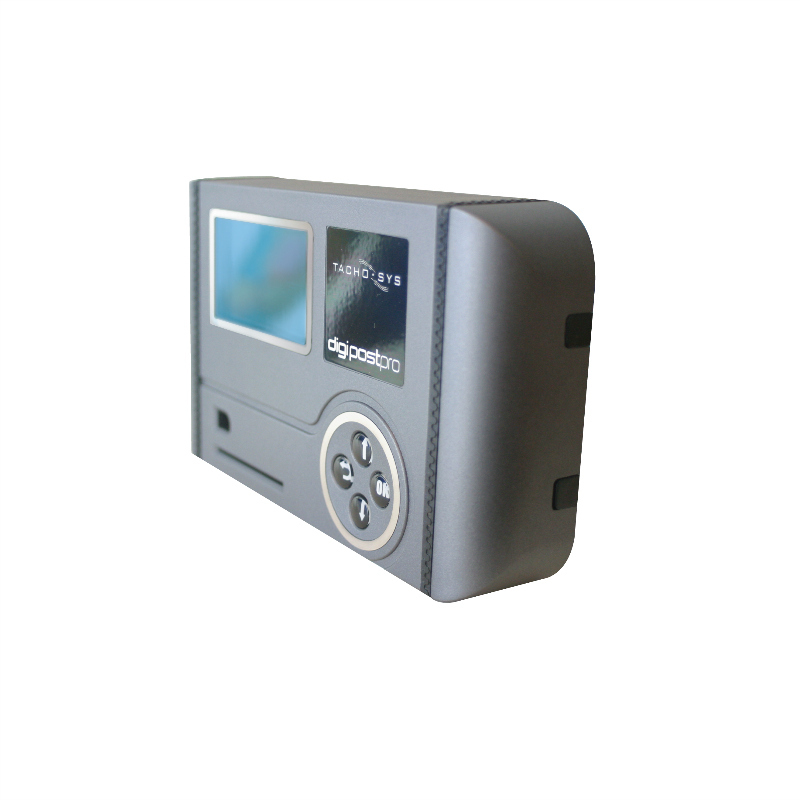 Digipostpro can be totally stand-alone and placed in any position. Drivers can have constant access and can therefore upload their own data without fuss. You can view a short video of the Digipostpro by clicking here.